Curry: a mixture of finely ground pungent spices, such as turmeric, cumin, coriander, ginger, etc, used in making curries. Mashed, boiled, baked, fried. Potatoes. Meat, potatoes and a vegetable, often canned, were a typical meal for me growing up in Michigan. I loved the smell of a pot roast baking in the oven, cradled by carrots and red potatoes, a few onions simmering in the roast’s juices. These juices would serve as the main ingredient in decadent, smooth, salty brown gravy, which we would use to coat the plated meat, the potatoes, the carrots, and sometimes a slice of white bread. Familiar comfort food. Over the years Paul and I have slowly moved away from this typical Mid-Western fare, and although this food combination has afforded us reliable and predictable meal ideas, not to mention safe, we’ve gained an appreciation for some new flavors. That is not to say we could be mistaken for Anthony Bourdain in his Travel Channel series where he consumes eyeballs and lizards, brains and tongues (okay, Paul has had tongue, he tells me). During a mission trip in Guatemala, we were served black beans and avocadoes with each meal. There we ate foods that were recognizable to us and that were full of familiar flavors; experimenting felt safe. In Algeria, we were served goat and camel by the Saharawi people in the Sahara Desert, and that didn’t always feel safe. And yet, during both trips, our family was gifted with amazing generosity to share in their mainstay, and so to refuse would have offended them. And then moving to Seattle in 2012, one of the most ethnically diverse cities in the country, has afforded us the opportunity to choose from a plethora of ethnic restaurants to visit and to experiment with different foods. I recently had a Thai curry dish at one such restaurant. I hadn’t grown up eating curry dishes and found myself reveling in the complexity of the flavors, enjoying the mouth-feel of the creamy, gravy-like sauce covering the bed of Basmati rice. I determined to recreate it at home. But could I? I had never made a curry dish before and didn’t own a curry recipe. As is true with the Internet though, I quickly found a recipe through Saveur Magazine. It was risky to take on this dish. I had concerns that it would be too spicy, particularly when seeing red Thai chiles on the list, let alone 20 of them. I was worried, given the uniqueness of the ingredient list, that I would hate the dish and I would have invested in ingredients that would be of no future use. 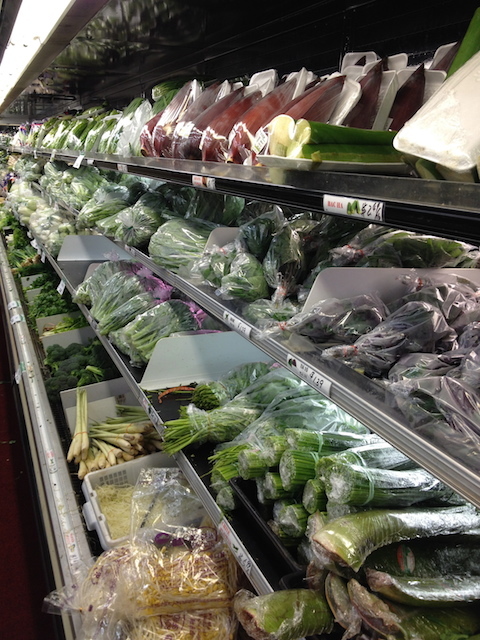 I remember visiting our local Viet Wah Asian Food Market, walking in and wanting to fit in, but unable to read many of the food labels; noticing a pungent smell coming from over by the packaged fish and walking slowly by all of the unfamiliar vegetables and fruits: Pandan leaves, Curry leaves, Ngo Gai, Banana Flower, Lemon Grass, Bitter Melon, Bunapi Orga Mushroom, Lotus Root, Jicama, Cassava Root, Dragon Fruit, Taro Root, Galanga Ginger. 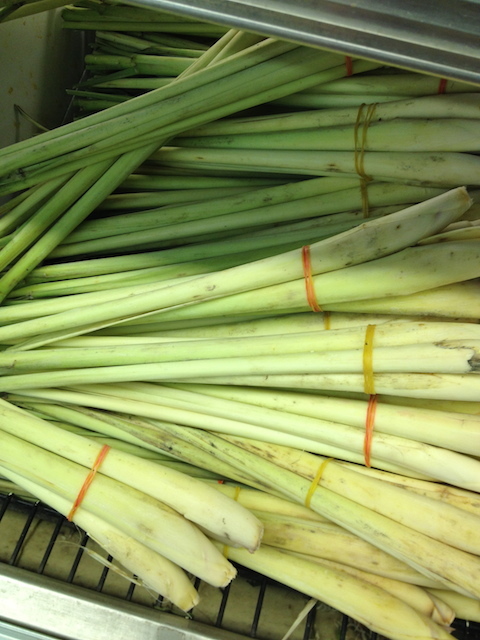 I picked up some Galangal Ginger and Lemon Grass because I needed some of that for my dish. I was thankful to have items in my hand basket now and rejoiced in my finds. Before that day I hadn’t even heard of Galangal Ginger, and now I walked with pride through the store, carrying my “prizes,” breathing easier and feeling a sense of ease. I felt that I fit in there. I think, in addition to wanting to mimic the restaurant’s dish, I also tried this dish because I wanted to see if I could do it. I savored that original curry dish. I wanted to see how difficult it was to make, and while finding the ingredients was a challenge for me, and the resulting pursuit a childlike game of discovery, I realized how much fun it was to venture out of my list of comfort foods. I proudly sat with Paul that night as we savored my curry dish and I acknowledged that I could try something new. As I write about my comfort foods and the adventure of trying new foods, I can’t help but draw the comparison to moving from Grand Rapids to Seattle and finding that the search for comfort and wanting to fit in, adventuring and risking has become my mixture, my curry, in life. I’m so proud of myself. 1. Make the paste: Heat a 12″ cast-iron skillet over medium-high heat. Place shallots and garlic on a piece of foil and fold into a tight package; add to pan. Cook, flipping once, until soft, about 25 minutes. Let cool, then peel and roughly chop; set aside. Place galangal and ginger in a single layer on a piece of foil and fold into a flat package; add to pan. Cook, flipping once, until soft, about 7 minutes; set aside. Heat coriander seeds in pan until seeds begin to pop, 1–2 minutes; let cool slightly. Place in a spice grinder and pulse until finely ground; set aside. 2. Place chiles in a bowl and cover with 2 cups boiling water; let sit until soft, about 15 minutes. Drain, reserving 2 tbsp. liquid. Place chiles in a small food processor with shallots, garlic, galangal, ginger, coriander, turmeric, curry powder, cilantro root, shrimp paste, salt, and lemongrass; pulse until roughly chopped. Add reserved liquid; purée until smooth. Set 1 cup aside; refrigerate remaining paste for future use up to 2 weeks. 3. Make the curry: Bring beef or chicken and coconut milk to a simmer in a 4-qt. saucepan over medium heat. Cook, stirring occasionally, until beef is very tender, about 1 hour. Using a slotted spoon, transfer beef to a bowl and reserve 1½ cups coconut milk; set beef and coconut milk aside. 4. Heat coconut cream in a 6-qt. saucepan or 13″ wok over medium heat. Cook, stirring occasionally, until oil is separated, about 30 minutes. Add the 1 cup curry paste; cook, stirring, until slightly browned, about 7 minutes. Add reserved coconut milk to pan along with 3 cups water; bring to a boil. Add reserved beef, plus shallots and potatoes. Reduce heat to medium-low; cook, stirring occasionally, until potatoes are very tender, about 40 minutes. Stir in palm sugar and fish sauce. Serve with Basmati rice on the side. 7 replies to My Meat and Potatoes. I’m grateful I could share it with you and your mom. What a great memory! 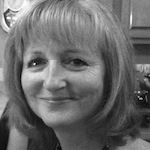 Your risking, cooking, adventuring have all blessed me in multiple ways Maureen. Thanks for continuing to share yourself and your recipes. I am grateful! “Variety is the spice of life” and by your giftedness, you share your “spice” in friendship. I am grateful for our friendship and love the memory of sharing this dish with you and Katy. “But could I?” And you did! Thank you for your story of risking and daring and the fun of the adventure! thanks for reading my post and sharing your words! Isn’t it something how risking and daring have the ability to produce blessing?! Yes, adventure.